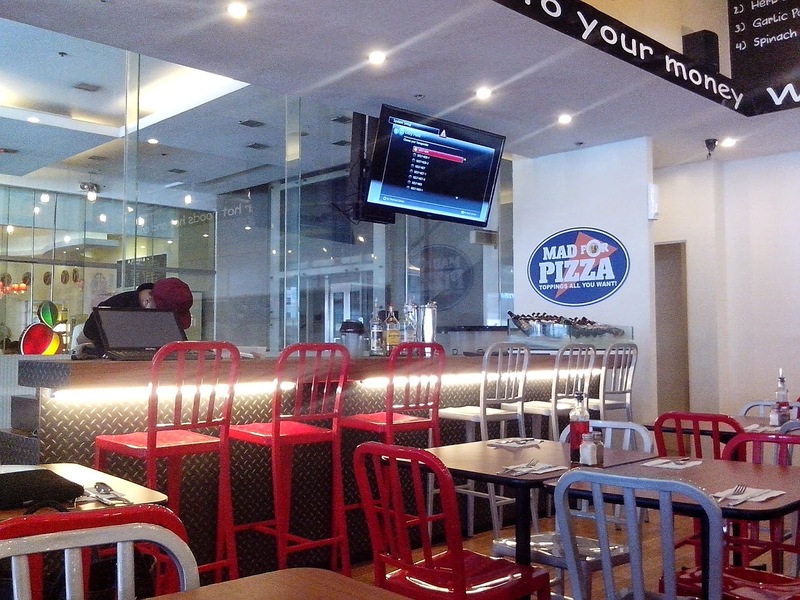 The concept at Mad For Pizza is quite interesting --- your creativity will be challenge while you try to create what's the best pizza for you (dough, sauce, toppings). 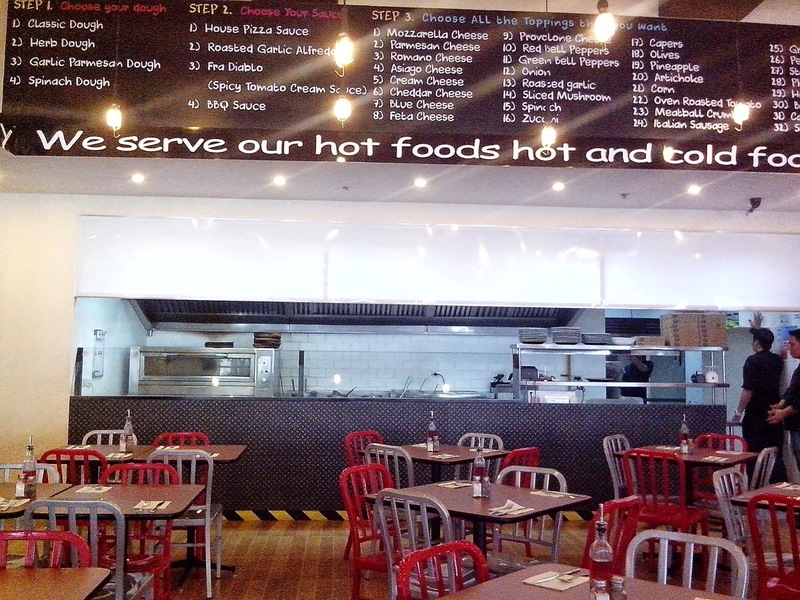 Barely 3 months old, this pizza place is getting a lot of mileage already from foodies of all ages. 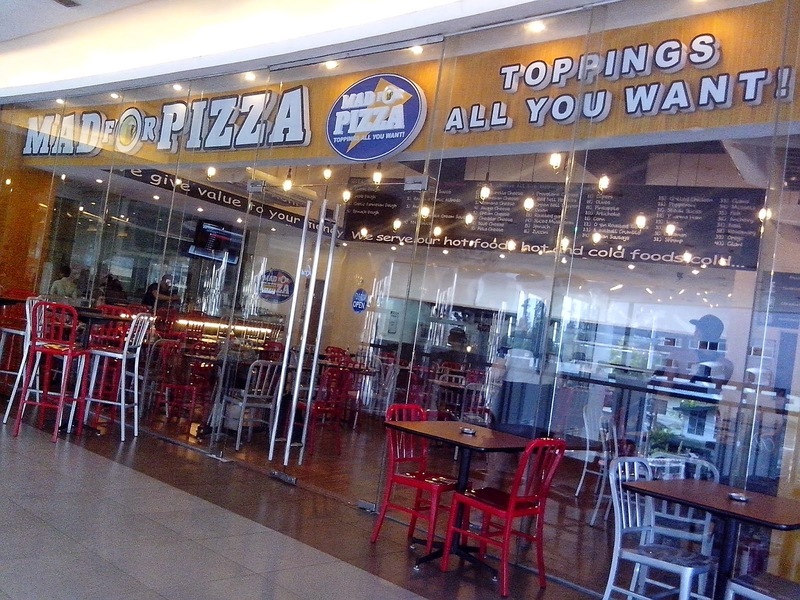 Conveniently located at the 2nd floor of Il Terrazo, the pizza place is quite cozy and also a great place to hang-out with the family or friends. 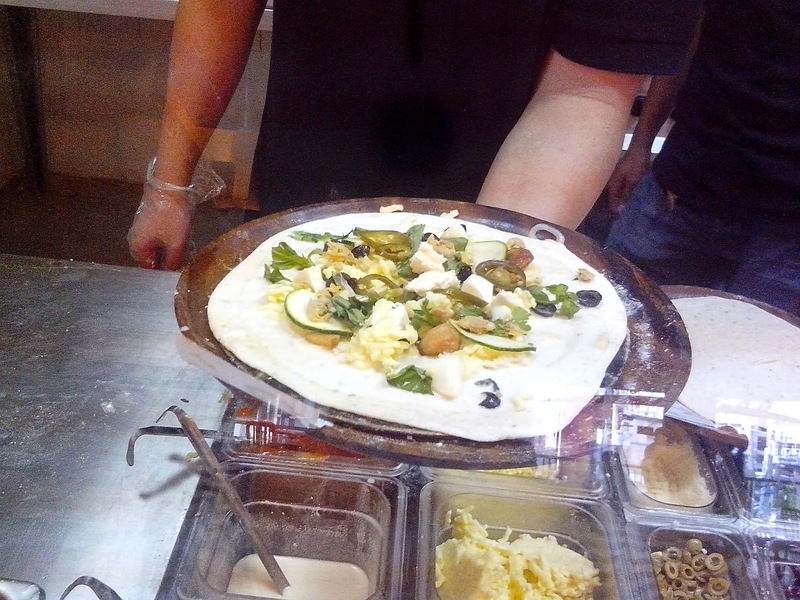 Not to mention that every one will enjoy creating their own pizzas. I was feeling healthy ... errrrr... rather full already (we had appetizers, salad, buffalo wings, pasta prior to the pizza) so I created this pizza ---- I chose spinach dough, white sauce, zucchinis, black olives, wansoy, basil, oregano, clams, squid, three different cheese (parmesan, cream cheese, cheddar). 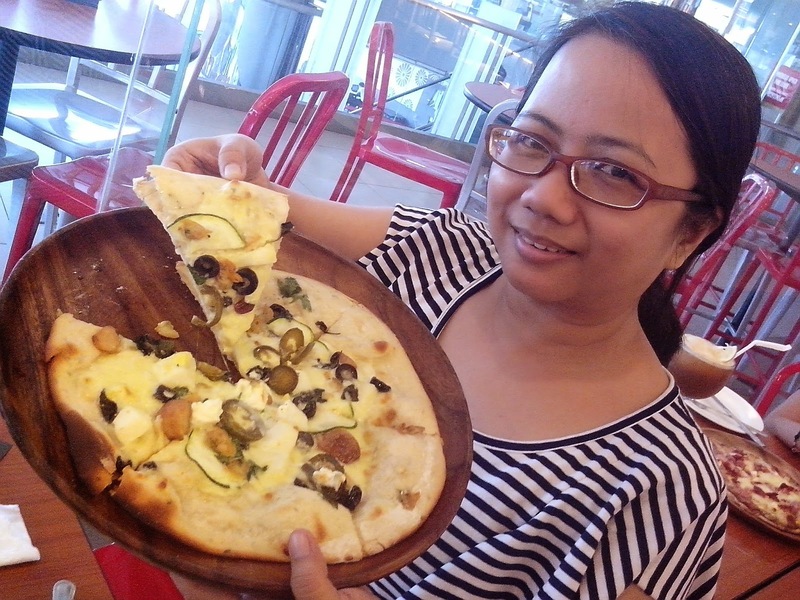 And here's my pizza creation ----- bon appetit!